Astronaut Scott Kelly and cosmonaut Mikhail Kornienko ended a record-setting 340-day stay in orbit with a fiery plunge to Earth Tuesday, settling to a jarring rocket-assisted touchdown in Kazakhstan to close out a medical research voyage that may help pave the way for flights to Mars. 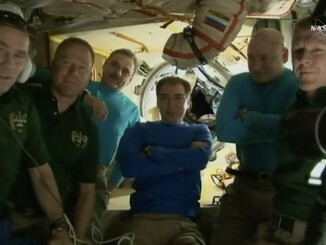 In the final hours of a 340-day mission, Scott Kelly and Mikhail Kornienko said goodbye to their crewmates and closed the hatch to the International Space Station on Tuesday, heading for a parachute-assisted touchdown in Kazakhstan a few hours later. Touching down after 340 days in orbit, astronaut Scott Kelly and cosmonaut Mikhail Kornienko have returned to Earth from the International Space Station aboard a Soyuz crew capsule commanded by Sergey Volkov. 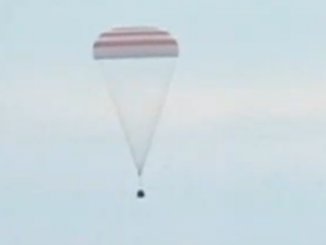 Landing in Kazakhstan occurred at 0426 GMT Wednesday (11:26 p.m. EST Tuesday). 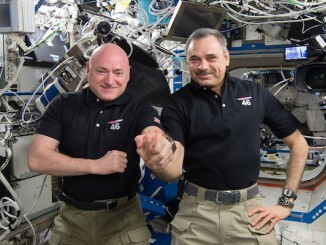 Astronaut Scott Kelly and cosmonaut Mikhail Kornienko are making final preparations for return to Earth Tuesday evening, closing out a record 340-day stay aboard the International Space Station where they served as medical test subjects to learn more about the long-term effects of weightlessness, space radiation and isolation. Two veteran cosmonauts ventured outside the International Space Station Wednesday, swapped out materials science space exposure samples, installed handrails needed for future spacewalks and tested an applicator and thin-film coatings that could prove useful reconditioning aged or damaged hull panels. 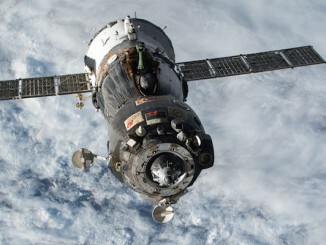 A Russian Soyuz spacecraft docked at the International Space Station early Friday, boosting the lab’s crew to nine for the next week and providing a ride home next March for two station crew members who are only halfway through a nearly yearlong stay aboard the lab complex. 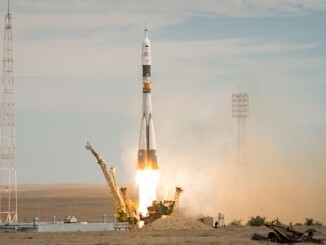 Three space fliers rocketed away from the Baikonur Cosmodrome in Kazakhstan on Wednesday, setting off in pursuit of the International Space Station to swap out Soyuz lifeboats for the research lab’s one-year crew. 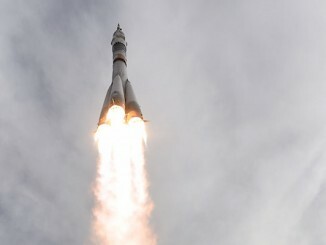 Check out imagery of the late morning liftoff. A Russian Soyuz spacecraft streaked into orbit Wednesday carrying a crew of three on a two-day flight to the International Space Station. Their mission: to deliver a fresh ferry craft to the lab complex that will be needed next March to carry two station crew members back to Earth after nearly a year in orbit. 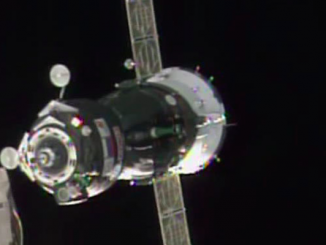 Wrapping up a busy week on the International Space Station, a crew of three boarded their Soyuz landing craft and headed for Earth on Friday. 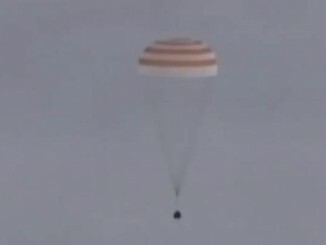 Cosmonaut Gennady Padalka, the most experienced space crewman in history, was at the controls, along with Danish and Kazakh crew members, and landed in Kazakhstan at 8:51 p.m. EDT Friday (0051 GMT Saturday). A Russian Soyuz booster rolled out of a hangar at the historic Baikonur Cosmodrome and rode a rail car to its launch pad Monday, setting up for Wednesday’s launch with a three-man crew hailing from Russia, Denmark and Kazakhstan.